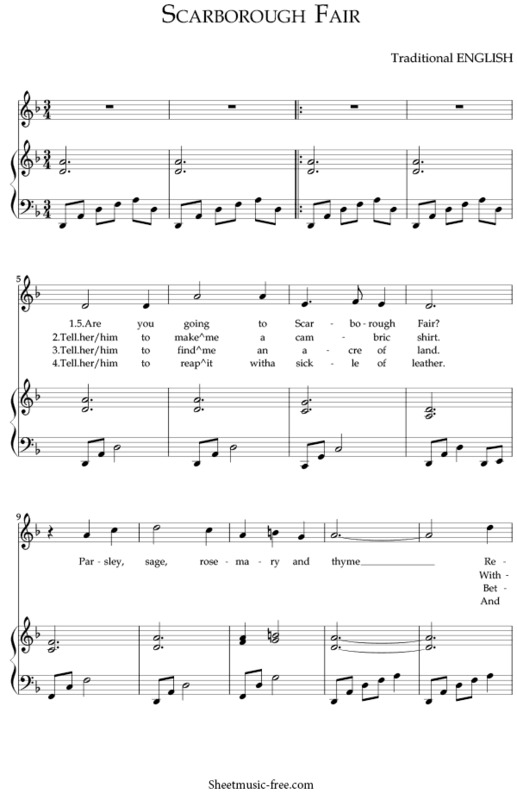 “Scarborough Fair Sheet Music” It is a traditional English song, author unknown. The name Scarborough Fair, refers to Scarborough Fair, which in medieval times represented one of the largest commercial reference points in England. Scarborough Fair Sheet Music Traditional English. She once was a true love of mine.On the side of a hill in the deep forest green. Then she’ll be a true love of mine.On the side of a hill a sprinkling of leaves. Then she’ll be a true love of mine.War bellows blazing in scarlet battalions.